The year 2012 has been a challenging one for Mali. Mali is already the second poorest nation in the world with issues in many sectors like healthcare, education and government. And if that is not bad enough, the coup last year has made matters worse. While Sanogo seems nowhere in the picture, it is not hard to see that not much happens without his approval. The Interim President Dioncounda is a President in name and more power lies with the Interim Prime Minister Django Sissoko, who so far seems as ineffective as his predecessor. December 2012 saw the resignation of the previous Prime Minister Cheick Modibo Diarra as allegations circled that he was advancing his own political agenda instead of focusing on resolving Mali’s territorial integrity and helping prepare Mali for elections. After months of negotiations, the UN Security council finally backed a resolution to send an African led force to Mali to unseat the rebels in the Northern regions. Unfortunately we have seen more Islamist attacks on areas that were previously held by the Malian army. Yesterday, it was reported that there was an intense battle in the town of Konna, a small town by Mopti.Today reports show that the Malian army was able to successfully regain control of Konna. So what does 2013 hold for Mali? One only has to be living among Malians to know that Mali is suffering internally. While Sanogo was hailed as a hero immediately after the coup, public opinion in his favor is starting to waiver. The cost of day to day goods has risen significantly and in an economy that already had a 35% unemployment rate before the coup, things seem bleak. Tourism has suffered dramatically and many hotels/restaurants are feeling the pinch. The people in the North are suffering under the imposition of Sharia law. In addition, the refugee crisis seems forgotten. It has become an issue that has been put on the back burner while Mali’s inefficient government tries to figure where it is going and what it is doing. Yeah’s most recent trip to the camps in Burkina Faso last week revealed degrading conditions. One woman in the camp told Yeah that the refugees were tired of the situation and the conditions and just wanted to return home. A home of a united Mali, not a North run by extremists. The international community is requesting elections in April 2013. Is this doable? Many politicians, who were running prior to March 2012, have now been imprisoned or have fled the country in fear of the junta. The large parties have had to find replacements that are relatively new and unknown. In addition, some of the prior candidates are serving in the current interim government making them ineligible to run in the next elections. Finally, much of the collected campaign funds were utilized prior to the coup and so more fundraising needs to happen to replenish this fund to campaign. Despite these reasons, it is good to see that many of the old corrupt politicians are nowhere in sight to run in the next elections and that much of what is left are younger politicians with newer ideas on how to improve Mali. However, if we don’t have elections soon, we will not have a government that is recognized as a true democracy. When you have too many players determining policy, fighting to regain the North will become harder. When you have a central leader recognized and elected by the people and a government that responds to that leader, then you have a unified front to represent Mali and regain the North. With all the forces involved from the junta to the interim President to the interim Prime Minister, you have too many faces trying to call the shots and assert authority. Elections mean one authority, one government and a stronger face against terrorism. So if that means April, we will have to be ready. Mali cannot afford another failed government. I believe strongly, that Mali needs leadership. The issues to date have been caused by a lack of leadership. First, by the former President ATT who was overthrown and who for 10 years failed to raise the level of living. Then by Sanogo who let key parts of the country fall to rebels, while he asserted control. Then by a puppet government which has not truly led. We need to look at what is being done for Malians. While so-called Malian leaders were floundering in their self importance, it was Yeah who was meeting with other Malian politicians trying to reach a consensus on where Mali needed to go. It was Yeah educating key African and Western figures on understanding the situation in Mali from Mali’s perspective and about what was needed for Mali. It was Yeah who was bringing attention to the refugee crisis and reaching out to external organizations to send food and medical care. Malians need a leader who isn’t self serving. They need a leader that has proved that a Malian’s life is more important than lining their own pockets. Now it is just a matter of allowing Malian voices to be heard so that free and fair elections will be held. People ask me all the time. Why are you here? Aren’t you afraid for your family, for Yeah? I would be a fool if I said I did not fear for my family and Yeah’s well-being. I do worry, but if we don’t take this opportunity to make a difference, then the fate of 15 million people lies in the balance. Our comforts and tension is nothing compared to the suffering that Malians undergo daily. The only hope for Mali now is to hold elections and create a strong, unified government. If Malians continue to hope the solution will come from outside, it will be too late. The economy cannot take another year of bad news. I believe that Yeah can bring change. I believe that this campaign is not about just becoming President of a country. Rather I believe that this campaign has become a quest to restore integrity to a nation and bring hope to a people that are suffering. Too many years have passed with the Malian people being marginalized. Things need to change. Yeah possesses the skills, education and integrity needed to lead Mali. He possesses the strength and diplomacy to unify the government and restore his country. Since his appointment as Special Envoy to the Prime Minister of Mali, Cheick Modibo Diarra, Yeah has indeed been one busy man. Yeah’s main goal as he has met with representatives from Bahrain, the US and Mali has been one and that is to create a common understanding of Mali’s current situation and how the present government is planning on creating political stability. Yeah met with the Ambassador of Mali to the United States in DC, Al Maamoun Baba Lamine Keita, sharing his insight into the Malian situation and the reasoning for the removal of the previous President ATT. They also discussed the need for increased collaboration and understanding between the U.S. and the new government in Mali in the hope of removing sanctions against Mali, so that aid could once again start flowing to the people that desperately need it. Yeah also met with two members of the U.S. Senate. First, he met with Senator Michael Lee, a member of the subcommittee on African Affairs. Then, by recommendation of the U.S. Ambassador to Mali, Yeah also met with Gregory Simpkins, a staff member for the U.S. Congress and a prominent journalist in African Affairs. In August, Yeah visited Bahrain which is home to the US 5th Naval base, where he was received by members of the royal family. His visit allowed him to inform Bahrain of Mali’s situation and the need of investment leading to the creation of a bilateral agreement between Mali and Bahrain. Upon return to Mali, Yeah extended an invitation to former U.S. Ambassador John Price, who has been very engaged in African politics. 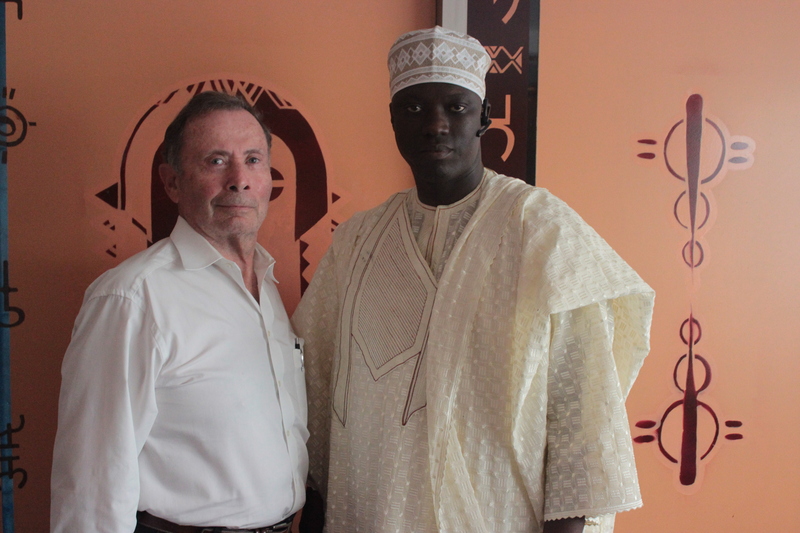 Ambassador Price visited Mali from September 6th-12th. Yeah and Ambassador Price also had the opportunity to visit the Malian refugee camp in Mentao, Burkina Faso. The visit will allow for a better foreign understanding of Mali’s actual situation and not as perceived by the media. This past week has seen Mali put in a formal request for foreign troops from ECOWAS to come assist in the North. There seems to be a split opinion among Malians about whether ECOWAS troops are welcome on Malian soil. There has been a report stating that Sanogo and people close to him are against the decision by the President to invite foreign troops. The truth however is far from it, as Sanogo himself, appeared on national TV in an attempt to dispel these rumors. I guess time will show how the situation plays out. For now, there is no way for the Malian refugees to come back unless the North has been ridden of rebels. Each day there are fresh reports coming out that show atrocities in the North. Everyone is too afraid to go to that region and would rather desert everything for safety. These past two and a half months have been busy as Yeah continues to reinforce the diplomacy and presence of Mali throughout the U.S. and other countries. The work is not over. It has barely begun and will continue until Mali once again is a democratic country. We need your help. We cannot continue doing the things essential to restoring democracy without expending financial resources. If you can help support our work, then please help at http://www.samake2012.com. Mali deserves its chance at democracy and freedom. As the world was finally starting to sit up and pay attention to Mali’s strife in the North, its interim President, Dioncounda Traore, who had been wounded by pro-coup attackers on May 21st returned to the South after a two month stay in Paris during which he received treatment for head injuries. During his absence the Prime Minister, Cheick Modibo Diarra, has attempted to resolve the crisis in the North. The Northern situation has become worse with Islamic rebels asserting outright Sharia law and almost imprisoning Malians in the North into their way of life. 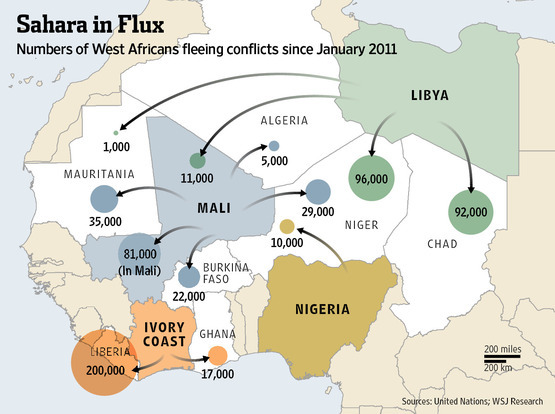 Their crackdown has caused even more Malians to flee the North increasing the refugee count. Just earlier this weekend, a man and woman accused of committing adultery were stoned to death in the northern town of Aguelhok. I wonder, what is the price to pay for murder? Yeah has been working tirelessly to raise the world’s attention on Mali’s strife and the humanitarian crisis. He has been meeting with leaders at the UN and also those in US that are over Africa’s foreign policy. To shed fresh media coverage on Mali, Yeah assisted CNN’s Erin Burnett and her team with visas, contacts, and travel plans so that they could bring a larger attention on the refugee situation and the human tragedy happening in Mali. You can view Erin’s coverage at: http://outfront.blogs.cnn.com/2012/07/24/why-mali-matters-al-qaeda-on-the-rise/. Yeah has remained a supporter of PM Diarra’s government and is adamant that now is not the time to put in a new government and delay any solution for Mali’s unity. As President of PACP, he has cautioned fellow politicians that no further delays should happen to hamper Mali’s return to democracy. It is time for the politicians in Mali to get over self interests and support the government. The world is finally starting to sit up and notice the struggles in Mali. Most recently the US had staunchly opposed interfering. However on July 26th, Michael Sheehan, the Defense Department’s assistant secretary for special operations, said that they cannot allow Al-Qaeda to exist unchecked. Even France that had maintained its distance has showed concern over the unchecked Al-Qaeda movements in Northern Mali. It’s amazing it had to come to this for the world to notice Mali. And even then, it’s not even about the lives being destroyed. I understand that each government concerns itself with what will be beneficial to its national interests. However, we might not even be in this position however if the first foreign interference mistakes were not made with Libya. There is talk about a 3000-strong army made up of mainly Malians and military forces from Niger, with logistical support from the US and France. But if we continue talk, the North as we knew it may not exist. Already monuments have been destroyed, people have fled. What next before something actually gets done? The attack on Dioncounda worked more in his favor than anything. He was not looked upon favorably as he was believed to be part of the old guard that had allowed ATT to rule unchecked. However the attack on him became to Malians an attack on Malian culture and traditions. Attacking a 70-year old man, no matter what he has done, is simply not acceptable culturally. In an address to the nation, Dioncounda spoke vehemently of his forgiveness to his attackers. He focused his speech on how Mali must move forward to regain its territory and people. He urged the Malian people to focus on how Mali can regain its territorial integrity. Dioncounda, spoke with urgency, that partners like the US and France cannot become enemies. This is interesting as many Malians regard former colonizer France with a degree of suspicion and even believe that they may have been responsible for supporting the rebel Tuaregs in the first place. Dioncounda called on all Malians to pay back their debt to Mali and become part of the solution. And that Mali must move on stronger and unified. He then moved on to propose a transition plan. 1. High State Council (HCE) composed of the President of the Republic and two Vice-Presidents assist the President in carrying out the tasks of the transition. –The other Vice-President shall represent the other components of the kinetic energies of the nation. 2. Government of National Unity: where are represented all parts of the Forces Vives. Consultations leading to its formation will be led by the President of the Republic. 3. National Transition Council (CNT) with an advisory and comprising representatives of political parties present or not in the National Assembly and representatives of civil society. It will be led by Vice-President representing the military services. 4. National Commission for Negotiations (CNN): meets the wishes of Heads of State of ECOWAS formulated in paragraph 18 of the final communication of the second meeting of the contact group on Mali. This commission will engage with the armed movements in northern Mali peace talks in connection with the ECOWAS mediator to search through dialogue, negotiated political solutions to the crisis. 5. Motion in the direction of ECOWAS (the African Union and United Nations) based on the findings of the mission which visited recently in Bamako. The Vice Presidents shall be appointed and the National Council of Transition (CNT) will be established as soon as possible and in any case within two weeks following the implementation of the Government of National Unity. Furthermore it is understood that neither the President nor the Prime Minister nor the Ministers will participate in the next presidential election.” Will these restrictions also apply to the Vice Presidents, given they will play an important role in the transitional process? The interesting thing about his address to the nation is the current Prime Minister was not mentioned in it. Why is this interesting? During the entire time from when Dioncounda was attacked to the time he was flown to Paris for treatment, PM Diarra has stood by Dioncounda, calling on people to let the political process play out. In fact, it could probably be attributed to him that Mali did not erupt into a civil war when the attack on Dioncounda happened. So it is interesting that he is not mentioned or acknowledged for the work that he has been doing. There is dissent among some of older political class in Mali that Diarra has been slow in getting the country back on track. Much of the dissent is coming from Dioncounda’s own party, ADEMA, which feels that they should be involved as much as possible in the running of the country. Many believe Diarra to be the coup’s puppet given that he has been appointed by the coup and also 3 major positions are held by the coup leaders. However, now is not the time to play political games. Every day that these dissenters choose to make it harder for Diarra to operate, what they are doing is not just harming him, but more importantly, they are delaying a resolution to bring Malians much needed relief. At this time national unity needs to become evident rather than just a song being sung. Even with Dioncounda, it is hard to say what will happen next. Given this address, it is hard to see where the PM will fit in and how all the political forces will indeed coordinate to create a stable, unified front. Without a strong base in the South, it will be hard for the army to follow a steadfast course. What Mali needs now more than ever is a government that sticks together and shows that Mali’s needs surpasses their own partisan interests. Additionally, Mali’s neighbors have given Mali a deadline of July 31st to create a unity government or risk facing sanctions again. This seems unlikely at this point, but Dioncounda’s plan is a step in the right direction to make that happen. If what Dioncounda says is true, now that he is back, he could be the binding force that is needed as he shows that he is willing to coordinate with the coup leaders choices of leadership. ECOWAS has been prompt at adding ten more days to the deadline to allow Dioncounda Traoré enough room for negotiations. Elections have been set for May. Items to be resolved remain: checking out the rebels, restoring order in the North, bring home the refugees and holding elections. At the end of the day, a speech is all well and good, but actions speak louder than words and the question remains, can Dioncounda and Diarra pull it off for the greater good of Mali. It remains clear, given Dioncounda’s return, that Malians will expect remarkable progress in the near future from these leaders. The one thing that is on my mind these days is the current growing Malian refugee situation. It is hard to watch your fellow man suffer. However, it is harder still when you know they had little to begin with and now everything, including their dignity, is being stripped from them. These people did nothing to deserve the conditions they have been subjected to. On June 10th, Yeah was a man on a mission. His mission was to truly investigate the conditions of the camp and the state of the refugees living in them, so that he could get the international community and the Malian government more involved. Yeah went to visit the Malian refugees in Burkina Faso. UNHCR (High Commission for Refugees UN), reports 180,060 refugees displaced all over Mali, Burkina Faso, Mauritania and Niger. 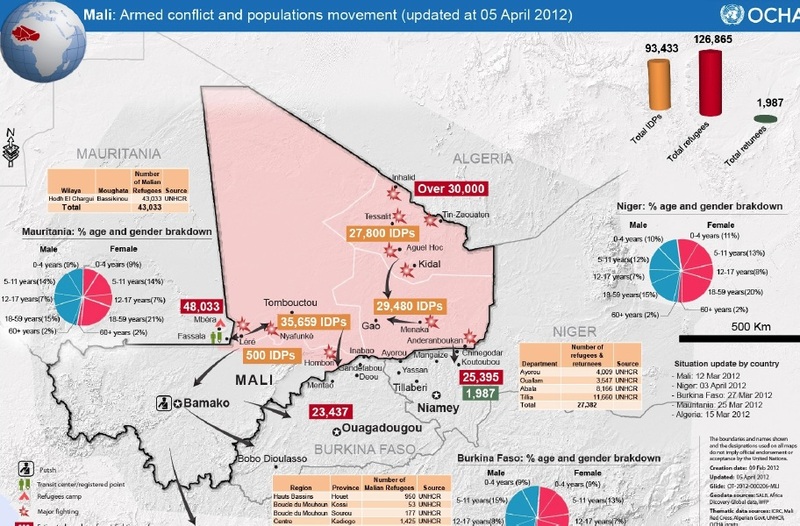 65009 refugees are in Burkina Faso as of June 9th 2012. Of these numbers, almost 60% are children. About 38% are aged 18-59 and about 3% are 60 and older. The situation in these camps is getting more and more desperate. The flow of aid is unable to match the need. Yeah went with Malian journalist Yaya Samaké (not a relative) to document the situation and hear firsthand what the refugees and officials concerned with the crisis were saying. Yeah met with the officials at the Mali Embassy in Burkina Faso. 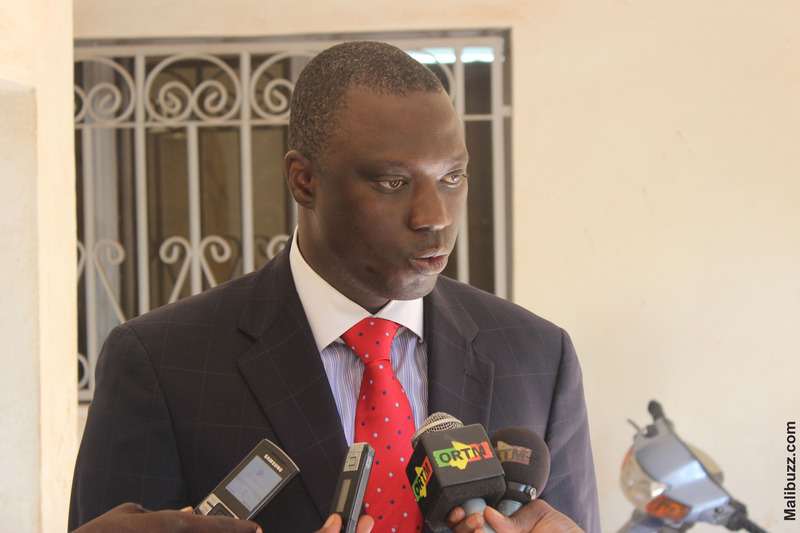 Mali Ambassador to Burkina, Seydou Traoré, admitted that they had not been to visit the Malian refugees situated in Burkina Faso. They told Yeah that the Malian government had not given any aid to be delivered to the refugees. This seems amazing to me that one’s own government does not care two cents as to the plight of their own people. Yeah was the first Malian from Mali to have visited the refugees in Burkina. What is the use of an embassy in Burkina Faso if it does not even serve its people? Yeah also had the opportunity to meet with the country’s head of UNHCR, Fata Courouma, to better understand the needs of the camp. Yeah visited the Mentao, Damba and Djibo camps which is in the Soum province, 250 km from Burkina’s capital of Ouagadougou. This area (as of May 18th 2012) according the UNHCR houses 14,506 individuals and 2,472 households. The refugees in these areas hail mainly from the Tombouctou area. 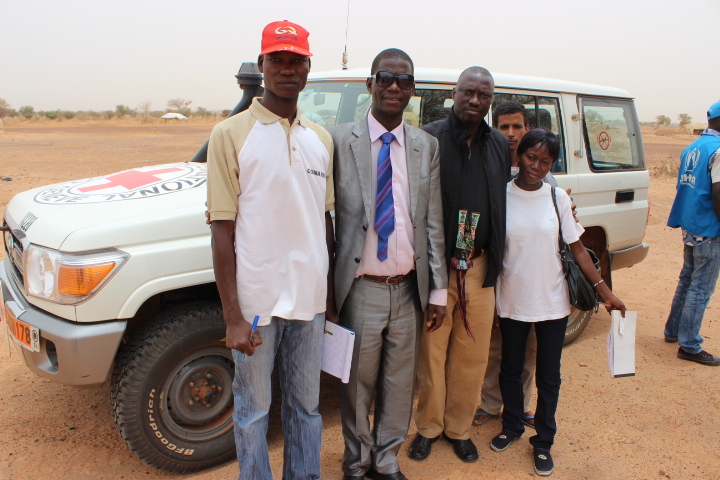 Also among the refugees there are people who have served in the armed forces of Mali. Conditions are getting worse because of the rainy season coming in. The tents available are inadequate to deal with the rainy season. The number one need right now is protection from the elements. Even though food is being served, the rations do not meet the nutritional requirement and are lower than what a person would eat on a daily basis. Children that are displaced are not receiving an education. 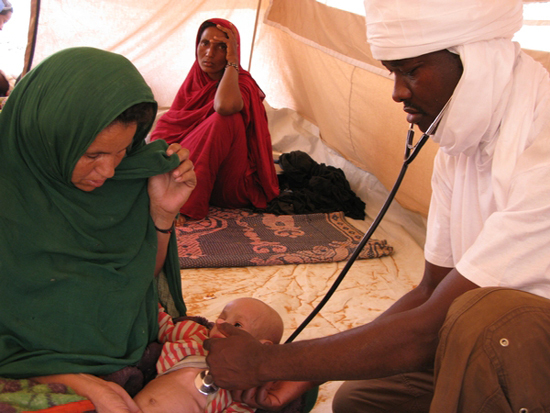 There are limited health services provided by the UNHCR and the CR-BKF. There are no words to describe the situation in these camps. It is unbelievable that it has come to this and that nothing is being done to help these individuals. These individuals were so happy that a fellow Malian had finally come to hear what was happening to them in these camps. They expressed their gratitude to the Burkina officials and were frustrated with the Malian government because no one had come to help them. To them, it seemed like they had been forgotten by their own government. Yeah said to them, “I am not come to you on behalf of the Malian government. I came to see you as a brother wounded at the situation as you live. Your suffering is our suffering. Your expectations are not met, not because the government does not have the will, but because the country is almost stopped. Let us all pray for the speedy return of peace, so you can find your homeland. We will always be by your side”. Yeah promised the camp leaders that he would do more to help them and raise awareness to the growing humanitarian situation. Yeah met one camp representative by the name of Aghali Ag Hamidou , who is from the Tombouctou region and was teaching in Bamako when the fighting broke. 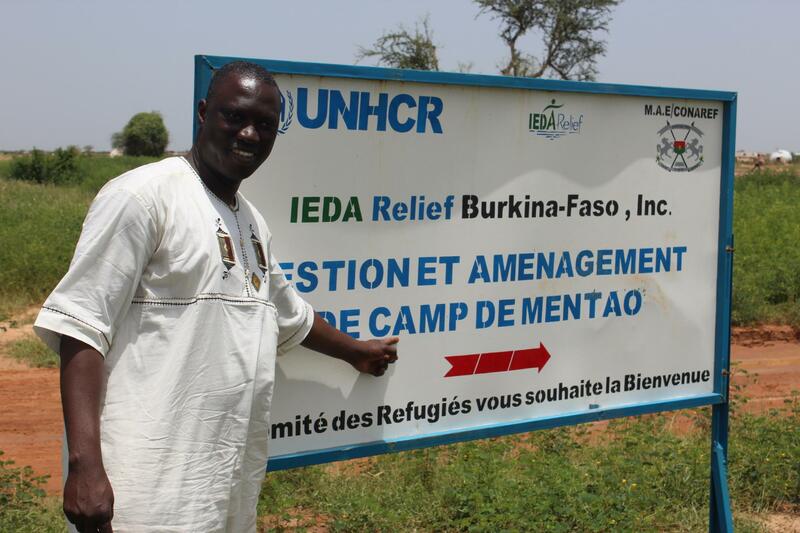 He left his job in Bamako and returned to Burkina Faso to help his tribe in the refugee camp. Another camp leader Almahil Ag Almouwak of the South camp said “I prefer the Malian tree to another tree”. Despite the harsh conditions the refugees are under, he was quick to say that Mali will always be their home. They want to return home. 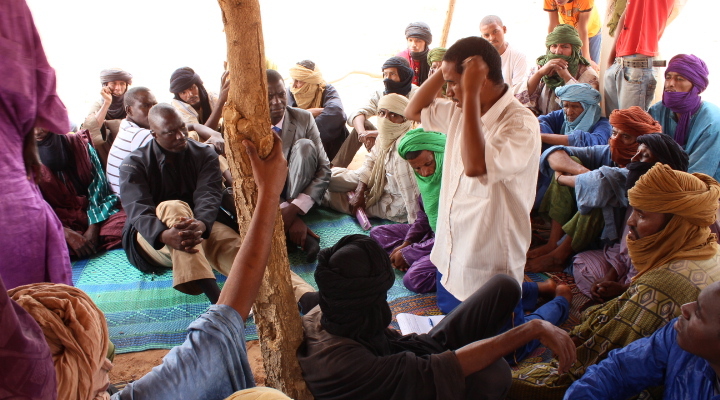 He cautioned that not all Tuaregs are rebels and vice versa and cautioned the government to stop treating them as such. Our Malian brothers and sisters still hold on to the hope that Mali will be reunited and that they will then be able to return home and live in peace. Speaking through Yeah, they call on the Malian authorities to step up to the plate and help them. I am glad that Yeah took the opportunity to go see what the refugees have to deal with on a daily basis. The conditions are desperate and are worsening. Now I ask you, imagine not having enough to eat. Imagine being unable to sleep because your tent let water through or because you were simply too hungry. Imagine not knowing what to do with yourself all day, because there simply is nothing to do. Imagine being unable to take care of your family. Imagine a life where death seems preferable to suffering. 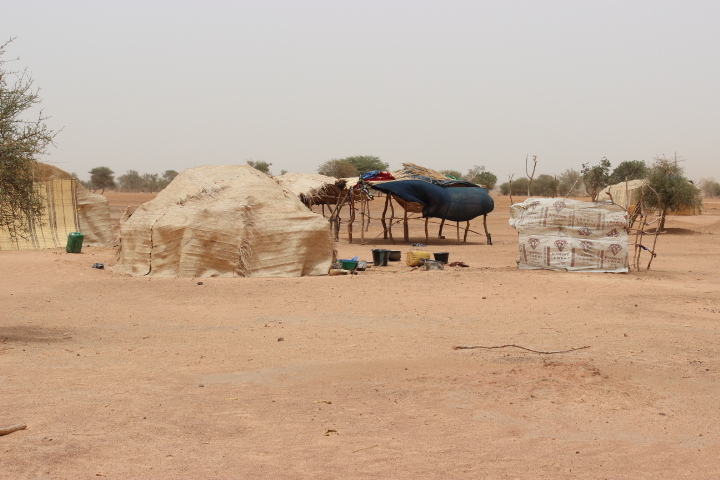 Conditions are terrible for the Malian refugees and they are about to get worse as we approach the rainy seasons from July to September. Donate today to organizations like UNHCR that are on the ground and trying to make a dent in the growing numbers with Operation Mali. Or donate to Samake2012 and specify refugee in the comments field and the funds will go towards the collection Yeah is making for the refugees. Every little bit helps. Will you help today? As the rain came down in buckets, it brought to end the heat wave of 120F that has hit Mali and all Malians very hard. April is the hottest month usually in Mali and this year, the heat took no breaks. I am blessed that during the hot months, I and my kids can retreat to our air-conditioned house. However, it only served to stress how most Malians cannot afford this basic necessity. To be honest, most part of the country remains without electricity and so even fans remain inaccessible. Seeing the rain come down, made me think of the wonderful relief it would bring to the general Malian population. But then the thought hit me. What about all those 235,000 people who are now living in the North without any shelter or food? As the world focuses its attentions on the “political” crisis in Mali, more and more, the humanitarian issues in the North continue to remain on the back burner. We could be going through the worse humanitarian crisis and it might be too late before anyone takes notice. The refugee crisis began in January when Tuareg rebels started a fight for the liberation of the North. The ensuing drought only made matters worse as the nomadic northerners started traveling in search of food and other resources. 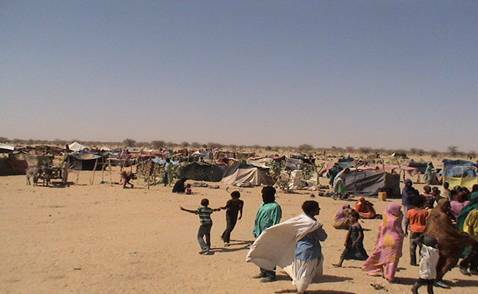 When the coup hit in March, the crisis deepened and people found themselves fleeing to escape harsh conditions being imposed by the rebels in Gao, Kidal and Tombouctou. In a matter of days, 1500 people were fleeing a day versus the 200 fleeing before the crisis broke. The conditions are best described by the Doctors without Borders based at a camp in Mauritania that has been receiving some of the fleeing refugees. “As the number of refugees increases, so does the pressure for humanitarian response to improve the living conditions within the camp. There are currently 100 communal latrines for 57,000 refugees and just nine liters of water per person, per day. The conditions are below humanitarian standards, which call for 20 liters of water per person per day, and one latrine per 20 people”. I cannot say this enough. We need to bring in some much needed relief for all Malians that are suffering in the North. Mali, being one of the poorest countries in the world, has been served another plate of misery. The conditions at these camps are deplorable and aid workers are doing the best that they can do. No child deserves to go hungry. No child deserves not to be able to go to school. No mother deserves to watch her child die or not be able to provide them with the basic necessities. No mother deserves to lose a baby because of lack of medical treatment. No family deserves to be separated. The effects of war are damaging. However, let’s help turn some media attention on Mali’s forgotten people. Contact the media; ask them to cover this crisis. Facebook and tweet about this. Saving a human life is newsworthy! Contact your friends and family. Ask them if they can donate. $1 a day feeds 1 child for a day. If anything we can start by saving 1 child a day. If we band together we can help provide the much needed help for our people in the North. We are collecting funds right now for the refugee crisis. If you can help please make an online donation at www.samake2012.com (Put Refugee in the comment field) or at a trust set up: Friends of Mali Trust, 472 East 4380 North, Provo, Utah 84604 (Please note the trust is not tax-deductible). If you can help today, help make a difference. Every little bit helps. Please, please, let’s do what we can. My friend told me that I can’t save the world but I can add my 2 cents in and maybe others would follow. Well friends, I am putting in $100 towards the crisis. Will you join in and create a domino effect? Are you in? Together, lets help contribute to aid for Northern Malians. As the weekend passed, the new work week invited new changes in Mali. Over the weekend, MNLA and AQIM made advances in the North and as Mali watched, the three biggest regions of Gao, Kidal and Tombouctou fell. This could have been possibly the worst thing that could have happened at this critical time. As soldiers found themselves ill-prepared and distracted, these rebels took over the North and the count of captured territories increased. These takeovers further cement how inadequate this new regime is to handle the various issues of Mali. The very issue of the North that caused them to revolt is now biting again. In addition, we are starting to hear residents in those areas report that the Islamists are ordering Western pictures to be taken down and Sharia law is already being implemented in Timbuktu. As the reports of change came out of the North, last night the countries around Mali followed through on their promise of sanctions locked down their borders. Under the sanctions, the five neighboring ECOWAS members will close their borders with landlocked Mali except for humanitarian purposes. Its member states are to deny Mali access to their ports, freeze Mali’s accounts in regional banks and suspend Mali’s participation in cultural and sporting events. Also in the works, is the possible deployment of 2000 military soldiers from the neighboring countries. It is still confusing as to whether these soldiers will attempt to take down the military leadership or be deployed to fight rebels in the North. Sanctions could be disastrous for Mai that relies on imports for most of its goods. The biggest one is fuel as Mali imports all its fuel from neighboring Ivory Coast. No fuel could spell trouble for gas stations and residents. Yesterday night, when the embargo was announced, people rushed to gas stations to fill up afraid that fuel would run out. Also with the banks being cut of the money supply, residents that rely on banks could be very affected. Most Malians however do not bank and so this might not be a thing that affects them. Rising food prices and things like cement and fuel being in short supply are more likely to happen as Malians adjust to the sanctions. Sanogo, continues to say he will hand back power and in the face of sanctions, he continues to make these promises without attaching a deadline. Yeah continues to work with other political parties to make leaps and bounds that hopefully will see results. The hope is for Sanogo to cede power peacefully. Already Yeah and his team are in talks with the different embassies and also different organizations that can help facilitate this process. Now is the time for peace talks, not sanctions and threats. Now is also the time to start backing our army with better prepared and equipped outside forces so that the rebels do not decide to consider taking their offensive further south. It certainly will back fire to have a radicalized violent extremist movement well rooted in Northern Mali. This is bound to threaten regional stability. If the sanctions continue, it could be disastrous. Already the Northern regions are experiencing deteriorating conditions. 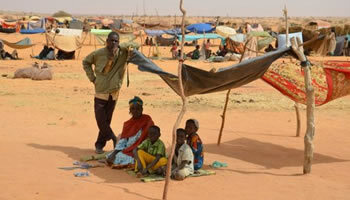 In addition to a drought and extremely hot weather, almost 200000 refugees are displaced by the fighting in the region. These individuals need help now. There are children that are dying every day because of inability to get food and water. The heat is unbearable and makes conditions even worse. April is the hottest month for Mali and here temperatures in the North easily reach 120F. Now more than ever, our Malian brothers and sisters need your help. We need funds that can not only handle the immediate concern of improving their living conditions. Once we have answered that need, a need to stabilize them in society becomes essential. A rising count. 2000 in the last 5 days!! As soon as the current violence ends in the north, a new need will arise: Helping those who have been displaced to return and resettle into productive lives. In East Africa, many displaced populations have suffered for years – prohibited from finding local employment near their shantytowns, they have become dependent upon western aid organizations. In some cases, these camps have witnessed second and even third generations growing up in these conditions. Mali must be different. The people of Mali are strong and independent. Beyond the immediate aid needed to sustain life, we also seek just enough aid to help families return to their formerly productive lives. If you can help today, help make a difference. Every little bit helps.